4 Kings Bench Walk | Expertise in virtually every area of common law. I have been instructing Robert Salis since 2002 at all levels from Magistrates Court to Court of Appeal. This has covered the full range of offences. I have witnessed the advocacy skills of Mr Salis at various Crown Court hearings and trials as well as his high quality written work. Mr Salis is very experienced and competent. Really impressed with Chris Bryden style at the mediation, Client rated him too. Janick Fielding An excellent barrister, willing to take on and fight cases no matter what the odds. Down to earth in dealing with clients, but relentless in cross examination and fearless when arguing with judges. Edward Culver Extremely competent and thorough barrister. Stood out in defence of a large prosecution by the Environment Agency. His grasp of the technicalities of the law, combined with his absorption of voluminous paperwork, was unparalleled. Adrienne Morgan is a highly talented advocate who assimilates the details fast and is excellent with clients. She is a delight to work with. 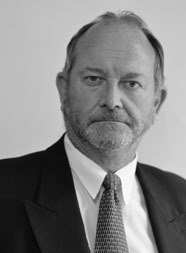 “As a solicitor, the most important factors for me when instructing counsel are approachability in terms of working with me and excellent client care and communication .I have instructed members of the 4KBW family team on many occasions and have without exception found them to be approachable, highly professional and very well prepared for hearings. The feedback received from clients has always been excellent .The clerks are also extremely helpful and quick to respond to enquiries. Rick Gardner is a Criminal Clerk at 4KBW which are Chambers that we regularly instruct. Rick always provides an excellent service.There are times when instructed counsel is not available but Rick has managed to ensure that our clients are always very well represented. I particularly like the way that Rick is unflustered when dealing with cases which require the instruction of alternative counsel. I have worked closely with Jason since discovering 4KBW and have always found him to be extremely helpful. He has gone above and beyond on countless occasions to assist me and is a pleasure to work with! Jason has introduced me to Jyoti Wood, Katherine Illsley, Will Holland and Chris Bryden (to name a few), all of whom are extremely professional and fantastic within their respective fields. Clients always come back with positive feedback and I would recommend them unreservedly.